Vintage Garden Flowers Vector Seamless Pattern, Botanical Shabby Chic Illustration Wild Flowers, Dragonflies, Bees, Ladybird, Daisies Leaves And Twigs Floral Design Elements. Royalty Free Kliparty, Vektory A Ilustrace. Image 55446936. Reklamní fotografie - Vintage garden flowers vector seamless pattern, Botanical shabby chic illustration wild flowers, dragonflies, bees, ladybird, daisies leaves and twigs Floral design elements. 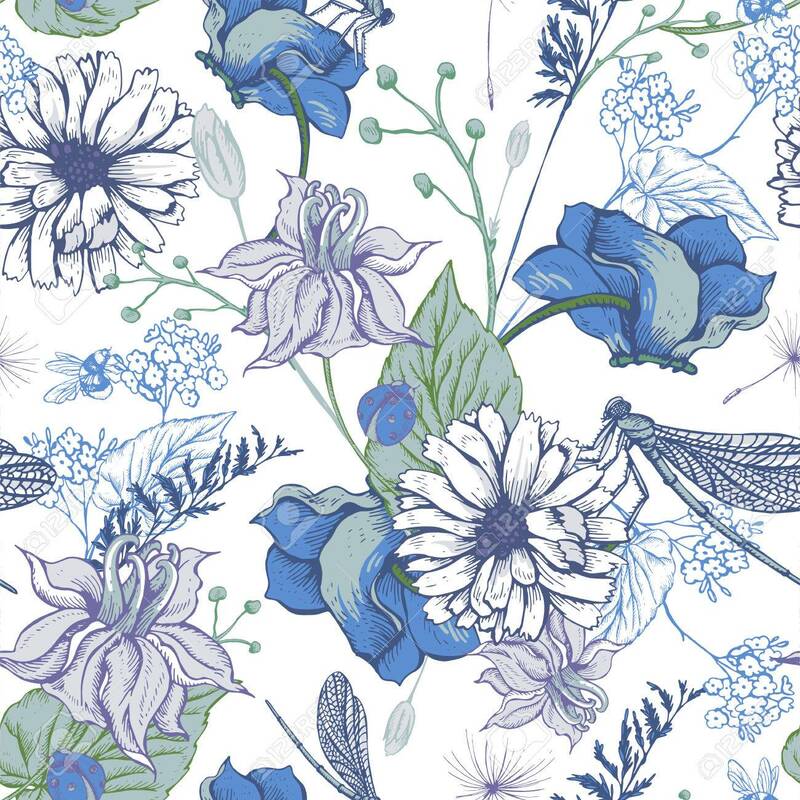 Vintage garden flowers vector seamless pattern, Botanical shabby chic illustration wild flowers, dragonflies, bees, ladybird, daisies leaves and twigs Floral design elements.